Point2 Homes gives you far more than a simple list of houses for sale. Get instant access to a lot of relevant information about Richmond Hill, ON real estate, including property descriptions, virtual tours, maps and photos. The search results pages also have a wealth of information on Richmond Hill, ON, if you scroll all the way down. 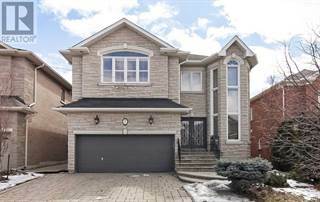 There are houses for sale in Richmond Hill, ON. Searching homes for sale in Richmond Hill, ON has never been more convenient. With Point2 Homes, you can easily browse through Richmond Hill, ON single family homes for sale, townhomes, condos and commercial properties, and quickly get a general perspective of the real estate prices. Also, you’ll never miss a bargain if you filter listings based on house price drops in the past six months. Use the map view to find Richmond Hill, ON homes and apartments for sale, based on amenities or city features that you may want close by. You can close in on a specific neighbourhood or area by simply drawing around them with the polygon or radius tools. Stay informed about the latest entries on the real estate market by saving your searches. This way, you get new listings in your inbox, daily or every week, based on your preferences. If you’d like to get in touch with a professional, agents are displayed next to their listings, and they’re easy to contact through the online forms. If you want more options, you can click the Tools tab and Find an Agent, and you’ll get a list of helpful and knowledgeable real estate agents in Richmond Hill, ON. Visit the Point2 Homes blog and you can find up to date expert advice on many markets throughout Canada, regular market reports, neighbourhood scoops in cities throughout the provinces, real estate deals and useful recommendations. Richmond Hill is a city that is part of the Greater Toronto Area within the province of Ontario, located around 20 kilometeres north of the city of Toronto. It occupies 100 square kilometres of land and currently hosts a total population of roughly 185,500. This city is considered to be one of the fastest growing communities in the country with respect to population growth, and its economy has seen a similar increase over the years. This seems to fall in line with the town’s motto of "En la rose, je fleuris" (Like the rose, I flourish). The small size of Richmond hill in area and population has not stopped it from experiencing head-turning economic growth. With an unemployment rate that stays under 4% and an average household income of roughly $100,000, this city is beating the provincial and national averages for economic metrics by large margins. In particular, there has been a very sharp rise in the number of people employed in the manufacturing, construction, business, and wholesale/retail sectors. With respect to leisure and entertainment, a lot seems to be focused around community activities that are best enjoyed in the company of other people. For example, there are several annual festivals, concerts, parades that consistently see record turnouts with each and every passing year. There are also community spoots, recreational sports centers, and heritage centers that celebrate the rich culture of the city and its history. For those who seem to prefer solitary enjoyment, there are many options available to them as well. For example, the David Dunlap Observatory is home to the largest optical telescope in the country. Tourists can observe some of the cutting-edge research that is being done here, and even take a look through the telescope if the weather is fair enough. There are also multiple golf clubs that are made available to the public, which is an attractive option for those who enjoy the sport or prefer a relaxing way to conduct informal business meetings. As Richmond Hill is very small in size, it is not divided into clearly defined districts and regions like most cities are. Rather, it is made up of a few key neighbourhoods that are well known within the city. They are as follows: Mill Pond, Heritage Estates, Bayview Hill, Jefferson, East Beaver Creek, and Yonge Street. Mill Pond tends to have the highest density of nature trails and outdoor parks in the city, and ends up being the host of many of Richmond Hill’s annual festivals and events. Heritage Estates is also home to a few trails itself, and contains some of the oldest homes in the city, dating back all the way to the 1800s. This particular style of home tends to be attractive to older individuals who feel a certain nostalgia for this kind of house design. Bayview Hill and Jefferson are both new subdivisions that begin development in the 90s and the 00s respectively. The current city plan is to turn both of these areas into expansive suburban developments that will see a large rise in the number of semi-attached and detached townhomes for current and new residents of the city. East Beaver Creek is home to the city’s Town Hall along with the headquarters of several multinational corporations. This is one of the few areas in Richmond Hill that is very urban-like in its architectural development and overall layout. Yonge Street, as many know, is considered to be one of the largest streets in the world. A portion of this street runs directly through Richmond Hill, and is home to several old churches. Mill Pond, due to its rural nature, tends to attract development of large homes that have features such as multiple bedrooms and bathrooms, and modern renovations within the kitchen and living room areas to reflect a 21st century style of living. Heritage Estates has an overwhelmingly abundance of townhouse units due to recent developments in the neighbourhood. There are also a few detached homes within this area for those who would prefer an added amount of privacy in their lives. Many of the homes reflect a Georgian-style look that was popular in the 1800s. Many of these homes offer multi-car garages along with bonus features that include recreational rooms and fully installed bars. Bayview Hill and Jefferson’s recent household developments contain a balanced mix of detached and semi-attached homes. With that said, these homes tend to be smaller in size compared to those that are seen in the Mill Pond and Heritage Estates neighbourhoods. They also happen to be closer in proximity to the busier areas of the city. Yonge Street and East Beaver tend to be similar in that they are the only areas to contain a relatively high density of apartments and condos that are available for rental or purchase. This falls in line with the presence of many businesses and stores in this area, which allows professionals a relatively easy commute to their place of employment. Richmond Hill does not possess any post-secondary institutions of its own.Many of its high school graduates find themselves travelling to Toronto to attend university or college, or simply moving to a place where they will be in closer proximity to their studies. As per elementary education (K-8), there are a total of 25 elementary schools that exist within Richmond Hill. The city has consistently beaten provincial averages for testing in reading, writing, and mathematics. Some of the top performing elementary schools in this area include Sixteenth Avenue, Richmond Rose, Bayview Hill, and Silver Stream.